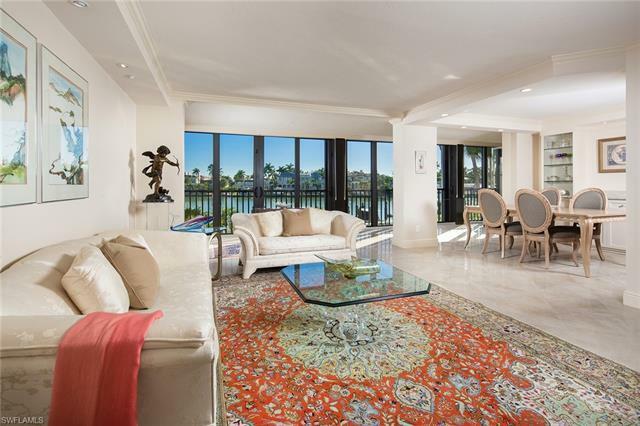 Wide bay views of Moorings Bay are the focal point of this chicly designed 2 bedrooms plus den residence. A newly renovated, open kitchen with Quartzite countertops and full backsplash surrounded by shaker, custom cabinets, provides a coastal refinement. The updated bathrooms have been furnished with modern elements to include new glass shower doors, white marble shower walls and elegant fixtures, which are sure to impress. Residents will also appreciate the ability to have hard surface flooring throughout in the unique first-floor apartment. Situated in the resort like community of Admiralty Point which offers extensive amenities that residents can take advantage of including, community boat docks, two clubhouses each with separate pool and spa, two Har-Tru tennis courts, kayak launch and fish cleaning station, this is a rare opportunity to enjoy both beach and Bayfront living.